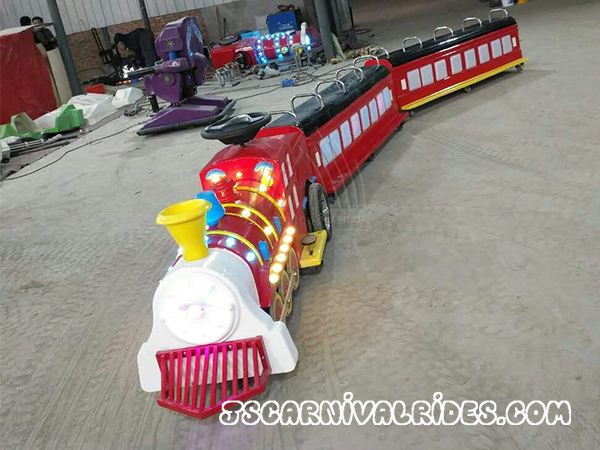 The shape of this romantic train ride is designed based on cartoon smile Thomas, very beautiful and interesting, with a relatively high ornamental value. 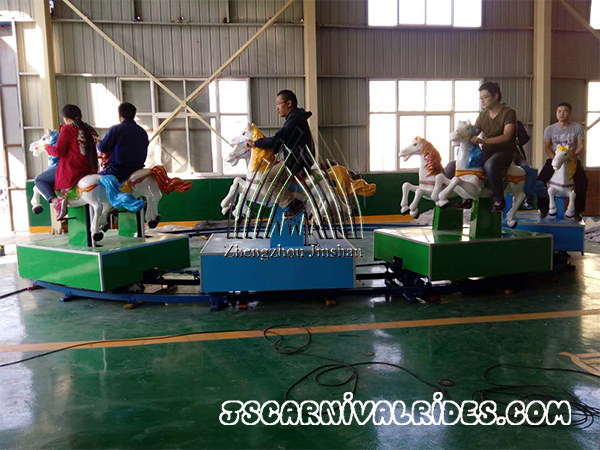 The fun train’s body is made of glass fiber reinforced. 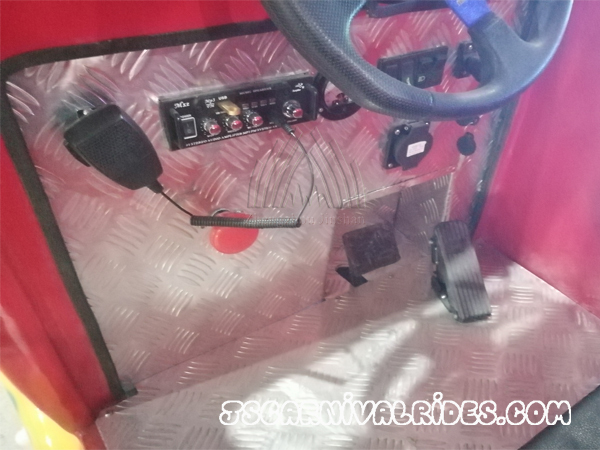 It refined and elegant, functional, durable, all aspects of the quality of all in the first, which is very popular in the market. 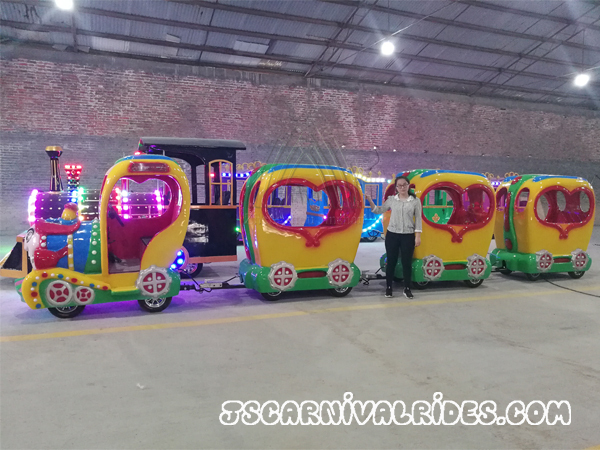 The romantic trackless train is a kind of trackless train, which imitates the real train and mainly designed for children between 2-12 years old. 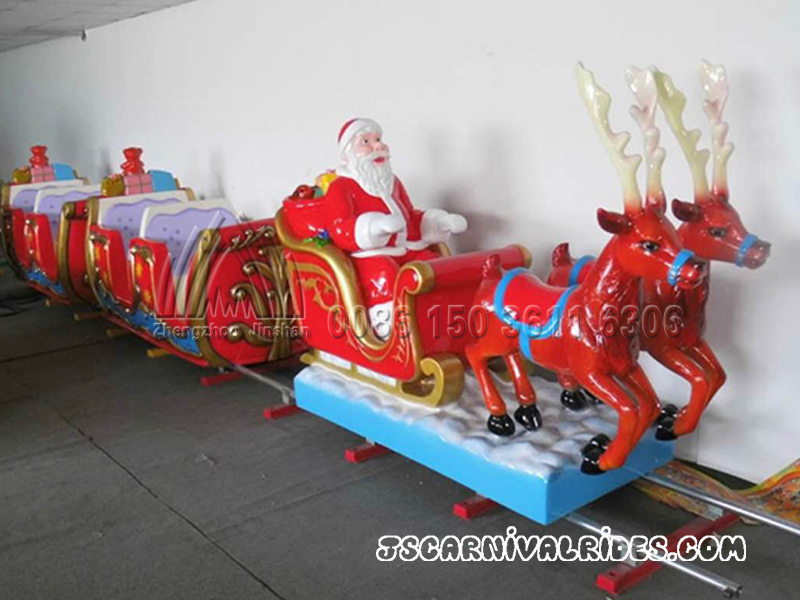 Outside appearance can be customized, colorful painting, the trackless train is designed according to children’s preferences. 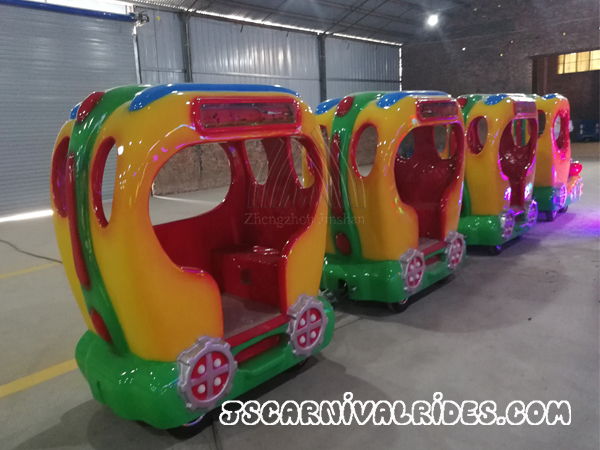 There are usually 4 cabins for a trackless train ride and it can increase or decrease according to customers’ requirements. 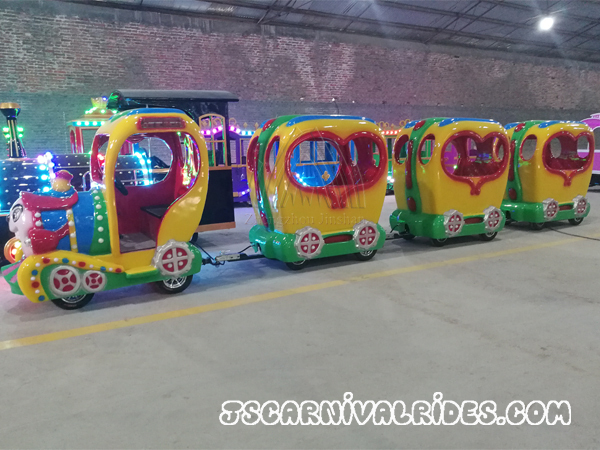 Trackless train is added several wheels at the lower part of the train under the premise of not change the shape of the train, so there is no need of the track and the trackless Romantic Train Ride can travel freely according to the actual situation. Therefore the trackless train is more convenient than track train. The track train is the kind of trains that are common in our impressions: there are tracks under the train and the train travel along the orbit.